MANILA – The National Capital Region Police Office (NCRPO) refiled late Thursday the criminal case against blogger Andrew Olivar before the Department of Justice (DOJ) for allegedly circulating a bomb scare on social media. In a letter, the complainant, Senior Insp. 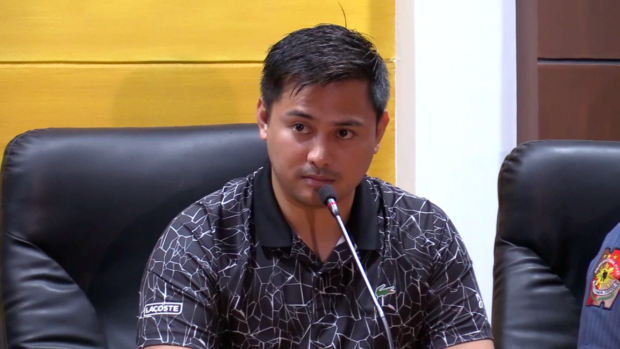 Rommel Bautista of the NCRPO Regional Investigation and Detective Management Division, requested appropriate legal action against Olivar, of Malate, Manila for possible violation of Presidential Decree No. 1727 (Malicious Dissemination of False Information or the Willful Making of any Threat Concerning Bombs and Explosives) in relation to Republic Act No. 10175 or the Cybercrime Prevention Act of 2012. Among the evidences submitted, aside from Bautista's complaint affidavit, was the sworn affidavit by PO1 Christopher Malana, Senior Insp. Myrna Diploma, SPO2 Ma. Magdalena C. Obrial, SPO1 Felygen U. Mariano, and PO1 Louies Agojo of the Philippine National Police’s Anti-Cybercrime Group. Last Sept. 25, the DOJ refused to accept the criminal complaint filed by the NCRPO against Olivar due to insufficient documents. NCRPO chief, Director Guillermo Eleazar, earlier said they have already requested the PNP-ACG for a certification that the internet protocol address used by Olivar in posting the message on his social media account, has been deleted. On his Facebook post last Sept. 21, the 46th anniversary of the declaration of martial law by then president Ferdinand E. Marcos, the blogger warned protesters planning to gather along Epifanio delos Santos Ave. of a possible bombing similar to the 1971 Plaza Miranda blast that killed nine people and wounded 95 others, among them Liberal Party politicians.